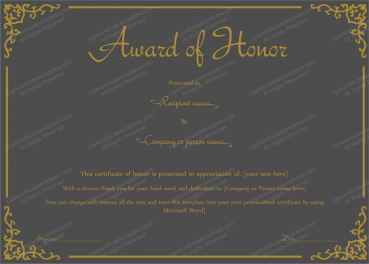 This award certificate template is perfect when a formal award certificate is needed to honor a very special employee or group member. 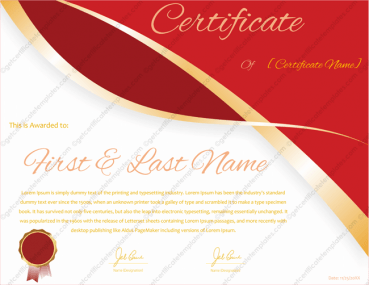 This template comes with text written in a very elegant script that is easy on the eye. 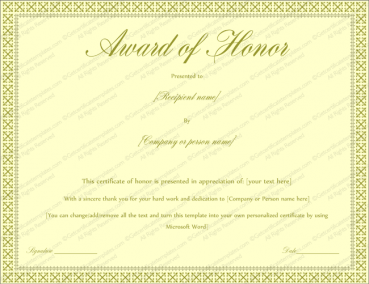 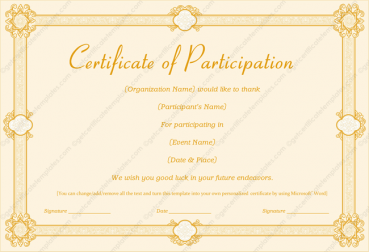 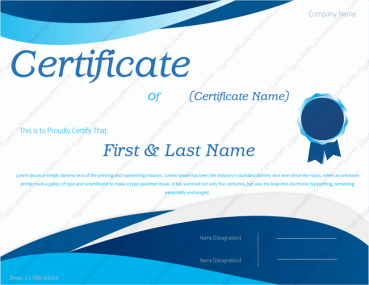 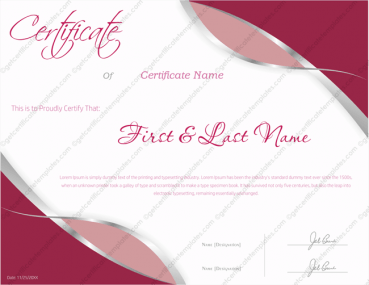 The certificate comes in black and gold, but the user can change the color, font or text to fit any occasion or company logo. 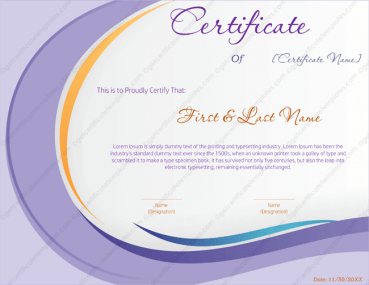 The template features a border with a black background with cheerful white swirls that end in leaves and hearts. 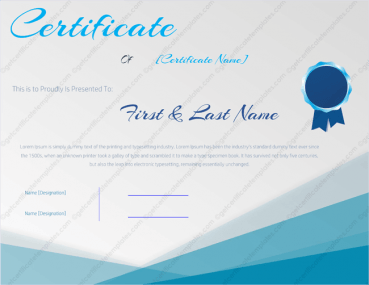 This makes the template really pop visually. 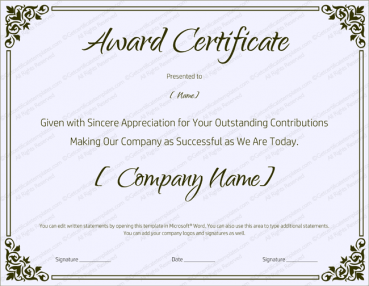 The text includes a line for the recipient’s name, a line to list the group or business name, several lines for the date of the accomplishment and the signature of the grantor of the award. 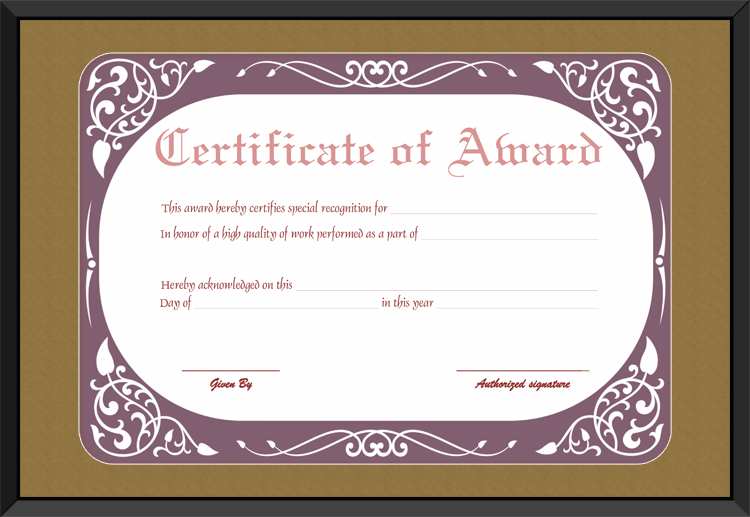 The lettering on the certificate is in gold, which really stands out against the black background. 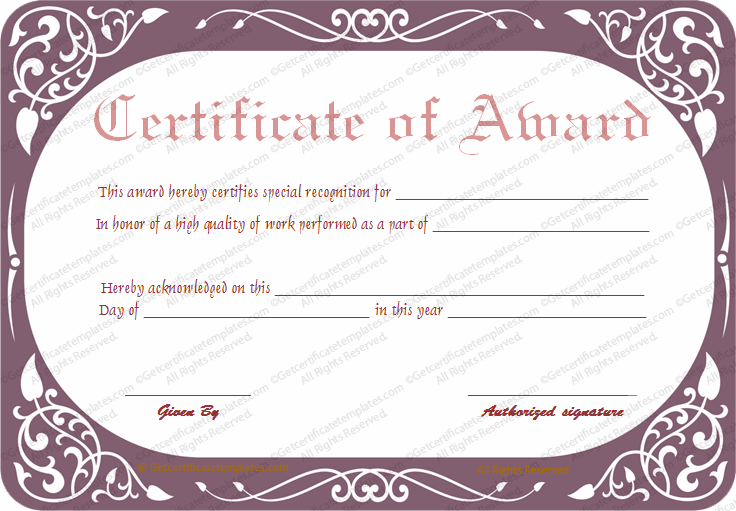 This is a certificate that anyone would be glad to receive and which will absolutely improve group morale and performance.